The Milwaukee Brewers have one of the best records in baseball this season and could make the playoffs for the first time in a quarter-century. What also makes the team noteworthy is that it has more African American players than most other teams. 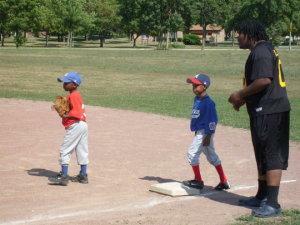 While Major League Baseball has spent $20 million trying to keep the sport alive in inner cities -- and likes to recall the days of Jackie Robinson breaking the color barrier -- interest among black children seems to have dwindled. But WUWM’s Erin Toner found players and supporters in Milwaukee working to reverse the trend.